On the 2nd January 2015 Adelaide, South Australia sweltered in the 44 degree heat (111.4 °F). Here in Adelaide we joke about the fact that we are living in the driest capital in the driest state in the driest country in the driest continent of the world. On the 2nd January it was no laughing matter. I was lounging around a mates place when a post on Facebook asking for available horse floats to help evacuate alerted me. I live in the Adelaide hills so we decided to tune into the scanner and have a listen. 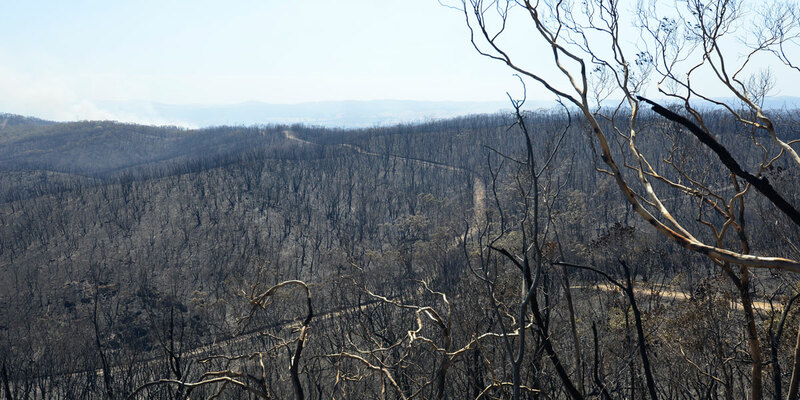 With growing horror we listened to a CFS (country fire service) in action. 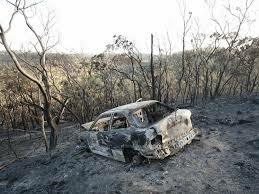 On the 3rd of January the bushfire was declared a National emergency. 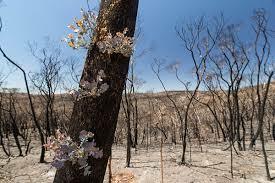 Over 3000 fireman and 29 fire planes battled the blaze until finally on the 8th January it was brought under control.The fire blazed for 9 days, destroying 49000 acres(20000 ht) 27 houses, 900 livestock, 140 sheds and numerous cars, machinery and thousands of native animals. 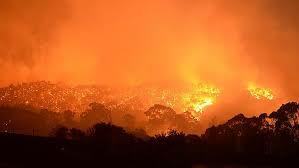 Imagine for a moment a bushfire is heading your way, your wife, kids & the dog jump in the car and head down to safety, you decide to stay and try to protect your house, your horses and your cattle. After what is described as a your worst nightmare the fire has passed. 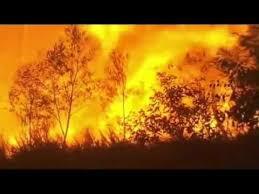 Your house is safe but you have lost your sheds, your fodder store, your fences, cars and machinery. You had to let the horses go praying that they will run faster than the flames. About 100 cattle .have perished but 75 survived. There is no electricity, no phone coverage, no water. The police have put up road blocks so you can’t get out and no one can get in. You don’t know if your wife and kids have made it out safely and you can’t tell them that you are alive. You would love a glass of water and to wash the soot of your face. Even now, six months later, it brings a tear to my eye. So sad, it must have been terrifying. I’m glad you survived to tell the story.